I am pleased to announce that the search for a permanent University of Hawai‘i at Hilo Vice Chancellor for Academic Affairs is moving forward. 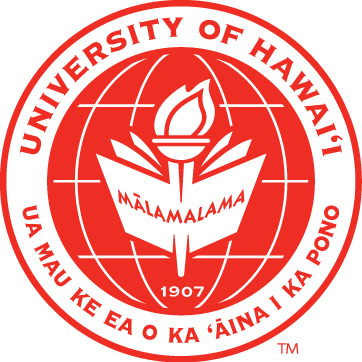 I am committed to an extensive national search to identify candidates with the experience, vision and energy to develop and advance strategic academic priorities at UH Hilo. Many thanks to Dan Brown for agreeing to chair the committee. A national search firm will help identify a diverse pool of qualified candidates and will generally support the search process. I would also like to express my thanks to Kenith Simmons for serving as interim VCAA during the search process. MEDIA RELEASE- The University of Hawaiʻi has been in constant contact with its nearly three dozen college students currently in Japan, either through study abroad and exchange programs or graduate studies. Eight are from UH Hilo and 27 are from UH Mānoa. None of them is in the vicinity of the most seriously damaged areas; they are all in other parts of the country and, based on our most current information, indicate they are safe and not in any immediate danger. In light of the updated advisory from the U.S. State Department “strongly urging” all Americans to “consider departing” Japan, the University of Hawaiʻi System is in the process of helping our students follow this recommendation from the State Department. We are in communication with them, and are actively assisting them in abiding by this Travel Warning from the U. S. State Department. See the State Department’s website for more information on the Travel Warning. Our thoughts and prayers are with the victims of Japan’s earthquake, tsunami and nuclear reactor disaster. Our concerns deepen each day as we learn more about the breadth of the triple disaster and the ensuing humanitarian crisis. This crisis is close to home for us because many members of our university ‘ohana have family, friends and colleagues in Japan, and many of us know the UH Hilo students currently studying in Japan. We also have students from Japan studying here with us in Hilo this semester. Given the close and historic connection between Hawaii and Japan, many people and organizations in our state are already working together collaboratively to support the Japanese people in their time of need. On behalf of the university community, I encourage you to please support Japan disaster recovery efforts. To convey our aloha and in keeping with Japanese tradition, you can help fold and personalize origami cranes at the UH Hilo Center for Global Exchange, PB9 Rm6, March 18, 10:00 a.m. to 2:00 p.m. All donations made at the event will go to the Japan Red Cross. Aloha for Japan, a local organization convened by Hawaii business leaders, members of the Japanese American community, Lt. Governor Brian Schatz and Japan Consul General Yoshihiko Kamo to coordinate statewide efforts to collect donations for victims. Aloha for Japan T-shirts can be purchased from several retail outlets. Contact for t-shirts: grphomehi@gmail.com. Donation checks can be mailed to: Aloha for Japan, 2454 South Beretania Street, Suite 201, Honolulu, HI 96826. Last night was an anxious time for us all and today brings an opportunity to give thanks that the UH Hilo ‘ohana has come through this latest challenge in good shape. On behalf of the entire campus, I’d like to thank the staff, students and faculty who worked throughout the night to meet the needs of people on campus, plan for every eventuality, secure our facilities and coordinate with Civil Defense. It was work most people didn’t see, but it was done with professionalism and care. Mahalo for your efforts. A special thanks to those who helped our students from Japan contact family and who checked that our students studying in Japan were safe. In our gratitude for the outcome in Hilo, though, we must not forget the people on this island, in other parts of the Pacific and especially in Japan who suffered much more from this earthquake and tsunami. The wave connects us and makes their plight part of our concern. The victims and their families are in our thoughts and prayers. They should have our support however we can give it. 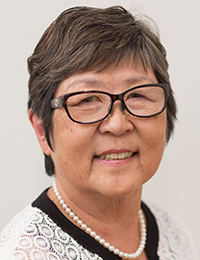 KOICHI AND TANIYO TANIGUCHI AWARD FOR EXCELLENCE AND INNOVATION: Recognizes creativity in teaching, scholarship, and artistic production at the University of Hawai‘i at Hilo. 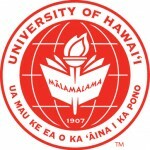 Any full-time UH Hilo faculty or staff member is eligible. Teams consisting of two or more faculty or staff may also be nominated. (Students may be part of teams led by faculty or staff). PROFESSIONAL STAFF AWARD: Presented to a professional staff member who has made major professional contributions to his/her unit and to the university as a whole, and has made a positive impact on the welfare of students and colleagues. OUTSTANDING UNIVERSITY SUPPORT EMPLOYEE AWARD: Presented to a University support service employee who has made significant contributions to the University of Hawai‘i at Hilo. Click here for nomination instructions and forms. The deadline for nominations is Friday, March 11, 2011. 3/10 UPDATE: Deadline for nominations is extended to March 16.